Posted in Measurement, Technology, and Web Industry. Seriously? 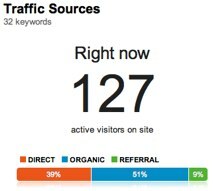 For years, Google Analytics has, by default, shown traffic for yesterday and before. If you adjusted the date range to today, it would provide information but it wasn’t entirely clear how up-to-date that information was. Today, Google unveiled Real-Time Google Analytics and released it to a handful of accounts. You could request to have it turned on for your account, and within a couple of hours of making that request they turned it on for me. A few months back, OrderedList launched Gaug.es, a real-time web traffic app that looks gorgeous and provides a constant stream of data. We pay for this service because frankly, waiting an extra day isn’t suitable. And while Gaug.es doesn’t provide analysis, it does make it possible to be responsive. In crisis or "holy-crap-this-story-just-blew-wide-open mode, such a tool can be invaluable. Enough that we pay for it. 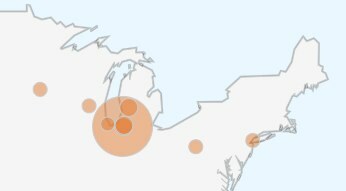 Watching the flow is entrancing, with numbers climbing and seeing which pages people are on, where they’re going, and where they’re from. The map view is fantastic. Mostly useless, but it sure is addictive. Like I mentioned, there are a few obvious uses in crisis mode or when your content goes viral. Responding to blog posts or social mentions can be a great opportunity to capitalize on a story. Or it might be critical to redirecting a crisis by correcting erroneous information. Another interesting use, as Google mentioned in their announcement, is to know when engagement is dropping off. I’ve often wished I could tell when one of my blog posts is getting a lot of traffic – and when the ideal time would be to fuel the fire by tweeting. Until recently, it’s been hard to even notice such traffic and gauge the traffic patterns. If you’ve set up goals, that seems like a great thing to see in your real-time dashboard. But GA doesn’t seem to show that. I’d also love to see a funnel visualization with real-time data. Finally, a key thing we often need to do is configure event tracking or some custom parameter. These aren’t always successful, and we can miss out on key data because we’ve made a mistake. Google notes how useful the real-time data can be for testing campaign tracking, but seeing events would be wonderful as well. Not everything is a pageview. So, isn’t this just a flashy object? If data isn’t actionable, don’t pay attention to it. In other words, if the information you get wouldn’t cause you to take action or do something differently, it’s not useful. 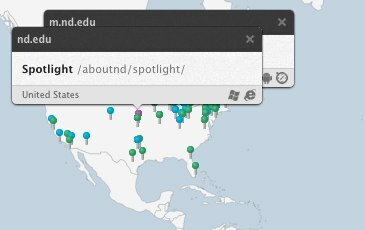 And a lot of the real-time data isn’t necessarily useful (whoo-hoo, a visitor from Texas!). But if you’re using Google Analytics strategically, then I’m sure you can imagine strategic and useful ways to use Real-Time. Have you gotten this beta feature yet, and how do you see it being used? I haven’t had real-time turned on yet, just requested it after reading this post. Have you looked at Google Analytics Premium? That seems like it could have some pretty neet features. @Chris – Certainly, Google Analytics Premium looks like it might fill some gaps but they haven’t posted anything about pricing. I suspect it’s set up for major users – not necessarily for the entry-level user. I’ve worked with Google a bit through other services and the price tag to get enterprise support or a customer service rep can be steep compared to the free option. I’m not sure Notre Dame is quite there with our use of analytics.